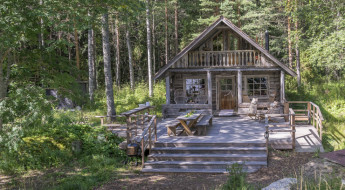 Wilderness cabins are bit low key compared to fully equipped holiday villas, but atleast they offer true adventures in Finnish nature. 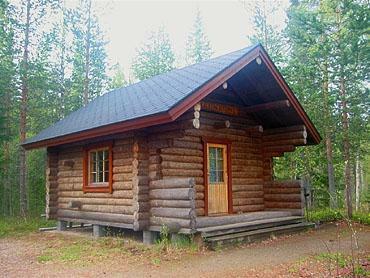 Just to make things simple, we can assume wilderness cabins don’t have electricity or running water. There are still some exceptions, so consider yourself lucky if you come across these luxuries. 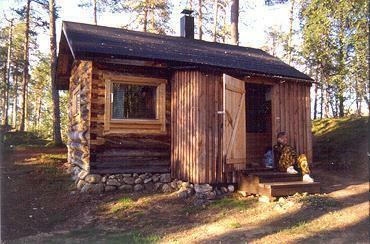 You can find wilderness cabins for rent all over Finland, but there are also free to use cabins and other shelters in the National Parks. The rule of thumb is, if it’s not locked, you can use it! Hikers are allowed to spend a night or two in the cabins but you can’t reserve them to yourself. Be prepared to share the cabin and making some new friends! You need only some basic hiking gear to survive a night in a wilderness cabin. Nothing fancy, just wear something appropriate for the weather, but don’t forget your rain gear. You also need a sleeping bag and a sleeping mat. Maybe take a warmer sleeping bag, just in case. Especially if you are planning to use some open air shelters, like lean-tos or something similar. There are usually some kinds of kitchen arrangements for guests to use. At least open fire cooking is possible pretty much everywhere, but the cabins might also have gas stoves. We’d still recommend to bring your own portable stove and cooking cutlery. Washing options are pretty limited because there usually isn’t any running water, and even if there is, it’s ice cold! If the cabin has a sauna, you have no problem. Wilderness cabins should usually have an outhouse, but remember to bring your own toilet paper! This is critical – don’t forget it. How about water? And food – I can’t live without food! If there is a well or some sort of water outlet, the water is potable. Also the streams and even lakes have potable water. If you want to be sure, you can boil the water or pop a sanitizer pill before you use it. Bring your own food! You might find some berries and mushrooms, but I wouldn’t count on them. Hunting is highly regulated and you need permission for the gun. If you are interested in hunting, you could hire a guide who can fix your permissions and take you to the right spots. Fishing is also pretty restricted, but the permits are easy to get either online or from local R-Kioski. Ok, but I’m scared of bears and wolves! You don’t need to worry about predators or such. The animals are more scared of humans than we are them, so they should keep away. “The Revenant” moments can occur only when you come across a mother bear with a cup. Just keep calm and move slowly away from the site. If the bear attacks, lie down and protect our head. When the bear sees you are not a threat, it will calm down. The animals you should worry are the little critters! The more north you go the more mosquitos you are going to find. They are not dangerous as such, but pretty “effing” annoying still. And their bites itch like hell! 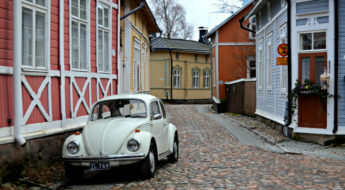 In the southern Finland you need to be aware of ticks. They carry Lymes disease and tick-borne encephalitis, both being pretty serious health risks. You should use repellent that works for both, ticks and mosquitos. And make yourself a tick check every night before going to bed! Doesn’t sound too bad. Anything else to consider? The Finnish freedom to roam law allows people to enjoy the nature freely, until the nature is not being harmed. In the National Parks the rules are stricter, but all and all, if you behave you are fine. You can’t chop down trees anywhere, but the wilderness cabins should have burning wood stocked. Please make fire only on designated fire pits, because it’s otherwise prohibited. Because the wilderness cabins are not serviced so frequently, make sure you leave the place in better condition than it was before your stay. Tidy the place up and take the trash out, or even take the trash with you if there isn’t a place for them. 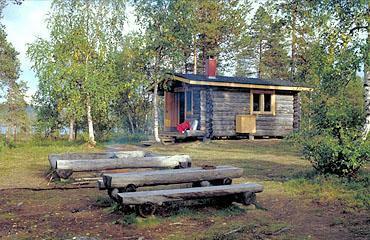 With these things in mind, you should be fine staying in Finnish wilderness cabin. There are some differences in winter time, so we’ll write another article with tips for the colder conditions. Now, start looking for that wilderness cabin from Gofinland.fi!